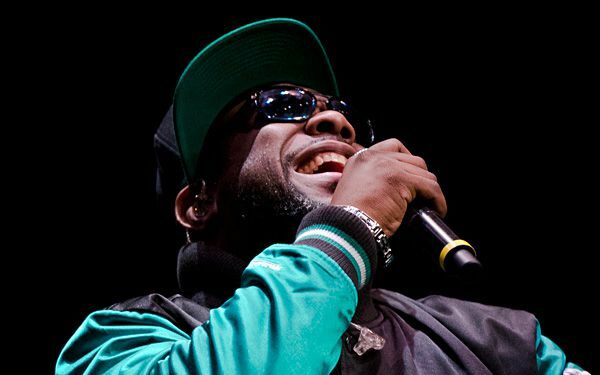 Members of the Grammy-winning group Boyz II Men returned to their roots with a concert at their old stomping grounds, a performing arts high school they attended and remember being just like the TV show "Fame." "You had girls, you know, walking around in their leotards, plie-ing all over the hallways ..." said Shawn Stockman. "Dudes sitting on the stairs drawing ..." added Wanya Morris. "It was a school you never wanted to be absent, you never wanted to be late," said Nathan Morris. The R&B group met more than two decades ago at the Philadelphia High School for the Creative & Performing Arts. On Tuesday, they held a private show for about 300 students and Sirius XM subscribers. SiriusXM plans to broadcast the show on Tuesday, Oct. 21, the day the band's album "Collide" comes out. The trio performed in an auditorium with dozens of students on stage. The students cheered and clapped along to their opening song, the '90s megahit "Motownphilly." The crooners are also known for ballads like "I'll Make Love to You" and "End of the Road." Before the concert, the band caught up with mentor LaDeva M. Davis, who still teaches dance at the school. He credited Davis with playing a key role in the band's development. Davis did everything from producing their showcases to making sure they got to class on time. "Aw, thank you," Davis said. "You all were precious. You were very well behaved." "We tried," said Wanya Morris, breaking into laughter. "I tried." Stockman now lives in Los Angeles; Nathan Morris resides in Philadelphia and Wanya Morris, who is not related, lives nearby in New Jersey. They also spoke about other noteworthy classmates, Ahmir "Questlove" Thompson and Tariq "Black Thought" Trotter, who formed the band The Roots. "There were so many talented people in there, we always say that any other four guys could have been Boyz II Men," Nathan Morris said. "We just happened to be the ones to get out." Boyz II Men was a quartet when they debuted in 1991 with the album "Cooleyhighharmony." The group followed up with the best-selling "II." Member Michael McCary later left the group, but the others continued to make music. Their last album, "Twenty," was released in 2011. The band has recently been in residency at The Mirage in Las Vegas. Stockman has also served as a judge on NBC's "The Sing-Off." Critical thinking challenge: How was Wayne Morris high school different from a typical high school? Record-breaking pumpkin weighs more than a car! "Fame" was a big thing back in the day were " You had all the girls, walking around in their leotards, pile-ing all over the hallways, dudes were sitting on the stairs drawing. It was a school that you wouldn't want to be absent or either to be late. Now, high school in this generation it is more like popularity "the jocks" with the snotty cheerleaders and underestimating the lower meaning the nerds and so call "weirdos". popularity now a days is so manipulative to certain people because they take it way to serious. Morris' high school was different from a typical high school because it sounded like a high school you'd only find on TV. Most high schools probably wouldn't allow their students to walk around in leotards, loiter on stairs, or pli all over the hallways. Also, the school was performing arts, so it was only filled with musicians, singers, dancers, and anything else that was involved in cinematics. It is for creative forms and arts, which means a high School for singers. It states "It was a school you never wanted to be absent, you never wanted to be late," said Nathan Morris." which means you probably had more fun then sitting in math class. Well to start there is a lot of diffrent behaviors in that school. Most schools dont have special classes like that. that school seems strict but very fun at the same time. There is a lot of kind and friendly energy in that school. Waynes school is very diffrent i think it matches his personality he is a kind guy. Wayne Morris' high school is different because the article said that it was a school that you didn't want to be absent from and a school that you didn't want to be late to. It meant that the school was so fun, something was always going on that you didn't want to miss it. I think that it was cool for Boyz2Men to go back to their old high school to perform. I would like to go a performing arts high school. I would like to learn how to dance and sing. The article is pretty good. I didn't know they were singers and they now go back to high school. I like the article it is cool to read. 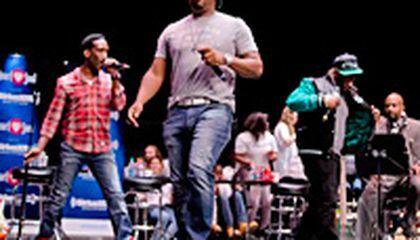 The singing group Boyz II Men returned to their old high school to do a special performance. They met over two decades ago at this very school. They held a special performance for about 300 students and Sirius XM subscribers. Students cheered and clapped to their big hit, "Motownphilly." Before the concert, Boyz II Men caught up with their mentor LaDeva M. Davis who still teaches at the school. They credit him for playing a key role in the band's development. I think it's really cool that Boyz II Men could go back to their high school and perform there. It seems like LaDeva M. Davis really inspired them.